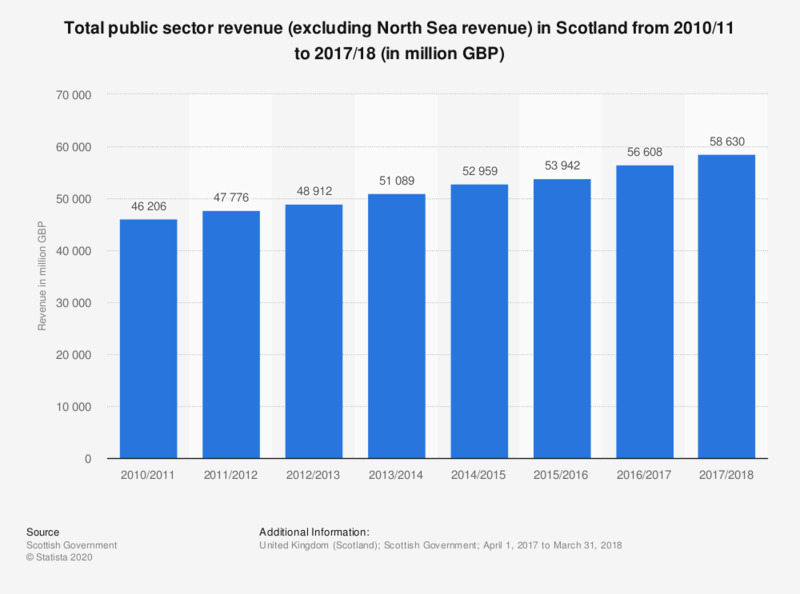 This statistic shows the total public sector revenue, excluding revenue generated by the North Sea, in Scotland from 2010/11 to 2017/18. After a dip in 2010/11 which may have been as a result of the economic recession, Scotland's public sector revenue increased till the end of the period. In 2018, it amounted to approximately 56 billion British pounds.